What if I can’t afford Deerfoot? Is there scholarship available? If scholarship help is needed, please request a scholarship form from the camp office (call 855-HIS-CAMP or email stephanie@deerfoot.org). Since camper fees cover only 60% of operating expenses, Deerfoot depends on contributions from people who believe in its mission to build godly men. These contributions make it possible to keep camper fees at manageable levels while providing the resources necessary for quality staff, program, facility, and equipment. How does Deerfoot handle camper medications? Medication ordered by the camper’s medical provider for daily administration must be delivered to camp in unit dose packaging for the camper which is packaged by a pharmacy. 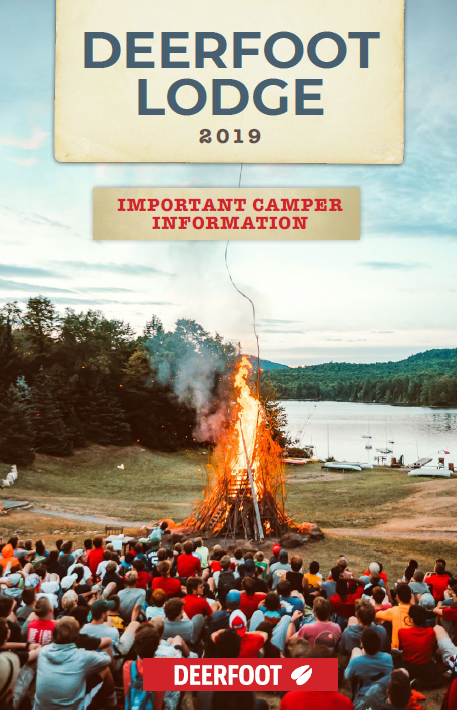 All meds that will be brought to camp MUST be written on your child’s health form, signed by the physician (this is required by the New York State Department of Health). For any last-minute medication changes, a physician’s order is required when camper arrives. This includes prescription, over-the-counter, and inhaled medication. What is the camper-to-staff ratio at Deerfoot Lodge? We keep this to 1 counselor for every 5 campers in most situations. In several activities, where individual instruction is required, the ratio would be less. Occasionally, in free-time activities, among other things, the ratio may be slightly less. When our kitchen and maintenance teams are considered, Deerfoot supports its 160 campers with over 75 staff members. Is Deerfoot Lodge Safe? Deerfoot takes safety seriously, but there are real risks involved in the Deerfoot program. Here is our risk management statement: By nature, there is risk involved in wilderness activity and the Deerfoot program. Our programs and trips require living in tents or open cabins/lean-tos, washing in the lake (no showers), physical challenges, wild animals, uneven terrain, wild forests, severe weather, and riding in vans on both highways and dirt roads. Backpack and canoe trips into the wilderness may involve swimming at sites not inspected by New York State and with remote access to emergency medical facilities (24 hours or more). Trip food is prepared by counselors and campers. Eligible dietary restrictions are accommodated by staff members who are not food service professionals. Staff and campers assume these risks together, recognizing that valuable growth comes from learning how to identify hazards and adapt behavior, not only at Deerfoot, but also for a lifetime of enjoying the outdoors. we teach the recognition and management of risks and hazards in the wilderness. reports are filed at 11 Saint Bernard Street, Saranac Lake, NY 12983.
required to sign the Risk Disclosure Statement annually.